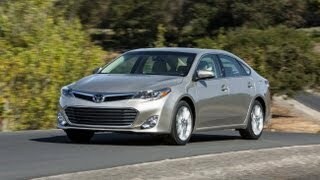 The 2012 New York Auto Show witnessed the showcasing of the fanciest sedan in Toyota’s history. 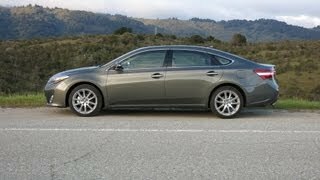 The 2013 Toyota Avalon was officially unveiled on Thursday at the auto show, marking a series of redoes on the basic 2005 Toyota Avalon. The company referred to the car as the company’s best ever sedan redesign with high luxury and fuel economy, thus fueling in scopes for further improvisations in models for the American market. The sensational full-size sedan would be available in two models, viz. base and limited sedan. 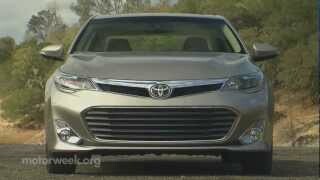 Both the models are expected to feature current Avalon’s 3.5L V6 engine with 268 HP and 248 lb-ft torque along with a six-speed automatic transmission. The engine is certainly going to beat Fiat 500’s fuel consumption of 30mpg in city and 38mpg on highway. The Avalon 2013's newer features include reworked front fascia and all new head and tail lamps (combination of LEDs and Light Bars). Apart from these, the car will feature 17-inch rims with 6-spoke (for Base model) and 5-spoke (for Limited model). The interior of the car has been equally reworked as the exterior. With the inclusion of increased head and leg room, wood-style trim, classy leather interiors and some other optional features, the inside looks to be high on the luxury quotient. Moreover, the car will come with exclusive safety features to ensure a tension-free drive. ABS, Electronic Brake-force Distribution, Vehicle Stability Control and even Traction Control come as part and parcel with the car. Induction of eight airbags, protection from different angles, child-lock systems and some other features have certainly eliminated every point we end up giving a second thought before going for a drive. 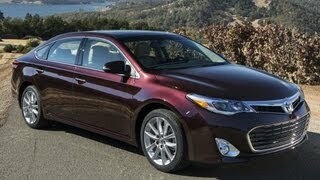 The entire redesigned and additional features give the car an edge over many other sedans currently available. 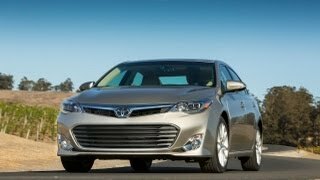 Sedans, like Chevrolet Impala, Chrysler 300, Ford Taurus, Hyundai Azera and Nissan Maxima are expected to face stiffer competition from the 2013 Toyota Avalon, as the Toyota-car features all these exclusive features with a price tag of just $33,195 (Base) and $36,435 (Limited).